Key West is America’s land’s end, the southernmost point of the country and closer geographically to Havana, Cuba, than Miami. Here — in the town that inspired the song “Margaritaville” — free spirits of all stripes gather to create a passionate, inclusive community that celebrates quirkiness. Breakfast: La Creperie – There is a row of small shops near the ship terminal, but head into this Old Town eatery for a great start to the day. Two French women serve up fare from Brittany, including paper-thin crepes, hearty buckwheat galettes, and fluffy omelets that seem to float above the plate. Crepe fillings are either sweet — like Nutella® spread, banana, or strawberry — or savory, with prosciutto, eggs, or cheese. Lunch or brunch: Blue Heaven – We know there is an indoor dining room, but eating at Blue Heaven is all about being outside. Sip a peppery bloody mary at the bar while waiting for a table in the shady courtyard. Your meal (of locally caught fish, or shrimp and grits) may be accompanied by live music … or roosters that wander in and out of the yard. The perfect finish: a slice of decadent key lime pie, of course. Dinner: Santiago’s Bodega – Named for the character in Ernest Hemingway’s Old Man and the Sea (The Ernest Hemingway Home & Museum is only a few blocks away), this buzzy eatery serves small plates in an art-filled dining room. The prosciutto-wrapped dates are salty-sweet perfection, and the cold sangria hits the spot after a day in the sun. 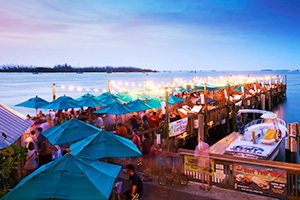 Drinks: Sunset Pier – Ending the day with a sundowner is pretty much a required activity in Key West. And nowhere is the view better than on Sunset Pier. Get there early to snag a table: The masted schooners and sailboats make pretty silhouettes in front of the setting sun. Tip: You can dine on private Sunset Key, even if you aren’t staying there, by making lunch or dinner reservations at Latitudes, the resort’s main restaurant, which offers stellar views of the Gulf of Mexico from the outdoor patio. For everyone: Fort Zachary Taylor Historic State Park – This park at the southern tip of Key West is home to a Civil War-era fort, nature, and bike trails … and, best of all, one of the few sandy beaches in the city. Bordered by rangy pines and other native trees, the Caribbean-style beach — with its clear, coral-filled water — is a favorite for picnickers and snorkelers. For couples: Rent a bike – The best way to see compact Key West is on two wheels. Feel the semi-tropical breeze in your hair as you wheel your way up Duval Street around historic sites like the Little White House, where President Harry Truman escaped Washington winters, quickly through tourist magnet Mallory Square, and over to the Southernmost Point buoy. For families: Key West Aquarium – The aquarium on Mallory Square is a favorite with kids and everyone else for its moon jellyfish and shark exhibits. But the big draw is the hands-on approach at the Touch Tank, where kids can handle critters native to the lower Keys, including conch, whelks, sea cucumbers, sea urchins, giant hermit crabs, and horseshoe crabs. For the adventurous: Dry Tortugas National Park and Fort Jefferson – This remote group of islands in the Gulf of Mexico, 70 miles from Key West, makes a fantastic day trip. Hop aboard a high-speed catamaran and spend the day swimming and snorkeling the shallow waters above the coral reef. You’ll see sea anemone, starfish, sponges, and schools of tropical fish darting through the crystal clear water. Tip: Brown pelicans often swim around the docks looking for food or handouts. Resist the urge to feed them — it interferes with their natural habits. Key West’s community spirit expresses itself in exuberant annual events, including the Fantasy Fest — part Halloween parade, part Mardi Gras — and the Dachshund Walk on New Year’s Eve. These are great times to cruise here: Just find a friendly porch to sit on and enjoy the show. 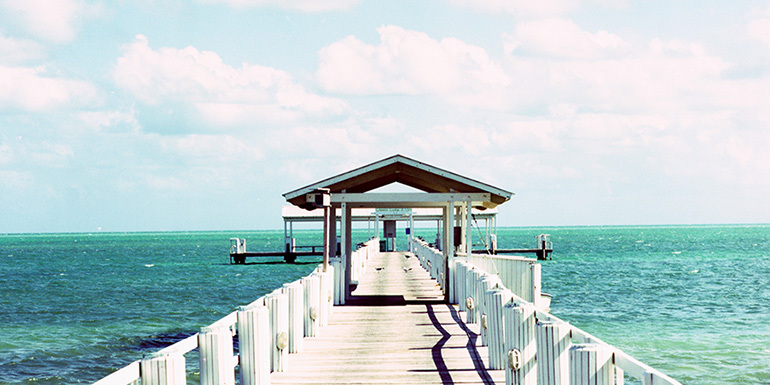 Have you been to Key West and, if so, what are your suggestions?